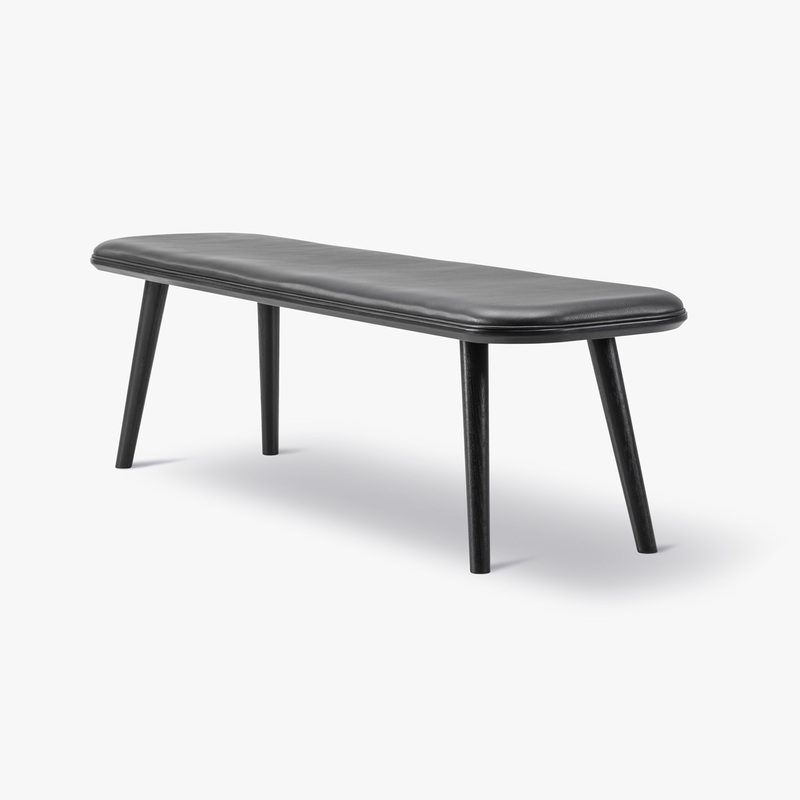 Fredericia presents Spine Bench designed by Space Copenhagen Ð a new, upholstered bench featuring a slim wooden profile with luxurious detailing, offering seating space for two. The Spine bench is defined by its soft, sweeping curves and angled legs - the distinctive hallmarks of the Spine collection. Exquisite detailing in the handcrafted piping and wood are expressed through strong, shapely lines that can be dressed up and down, depending on the textile or leather chosen for the seat. The lightweight and refined profile of the Spine Bench makes it especially inviting at a casual dining table and social spaces where a warm and welcoming ambience is desired, providing ample space for two people.